Back in May I planted some Japanese cucumbers, passionfruit, and Peruvian Gooseberries. They have been growing vigorously in the last 3 months. The cucumbers had a lot of flowers. I used a little brush to help with pollination between female and male flowers. Unfortunately, most of the baby cucumbers just dried up except the 2 in the photo above. I am letting them grow a little bit before cutting them off. I also propagated a small cutting that already rooted from our previous location in El Cerrito. In 3 months, it branched out to all directions and bloomed its first flower. It's getting a bit late in the summer, so it might not have any fruit this year. If the flower successfully grows into a fruit, it will not be ripe until late winter. Next year, it shall have a lot of passion fruit as the vines continue to grow through the winter. I also propagated a bunch of Peruvian gooseberry cuttings. All of them died off except one. 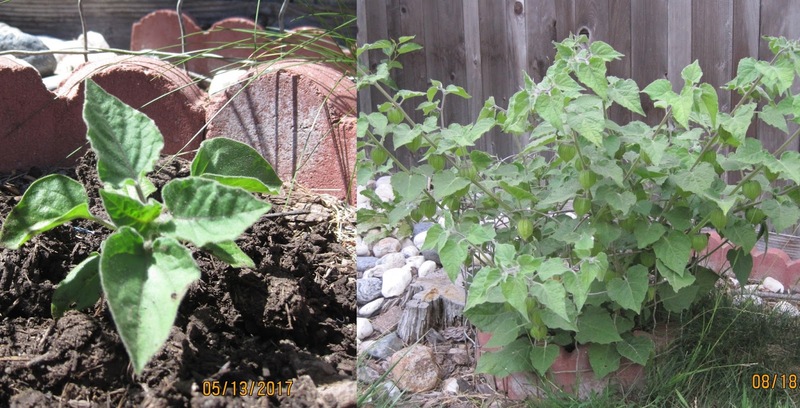 It went from the tiny plant to a good sized bush with a bunch of little berries hanging. The husks on a couple of the berries are starting to dry up. Soon they will be ready for picking or fall off on their own. I also found an accidental Peruvian gooseberry plant growing next to the passion fruit vine (see the photo above in red circled area). I was worried that the Passion Fruit would takeover, but it has been growing slowly and steadily. It looks like it will continue to grow bigger. 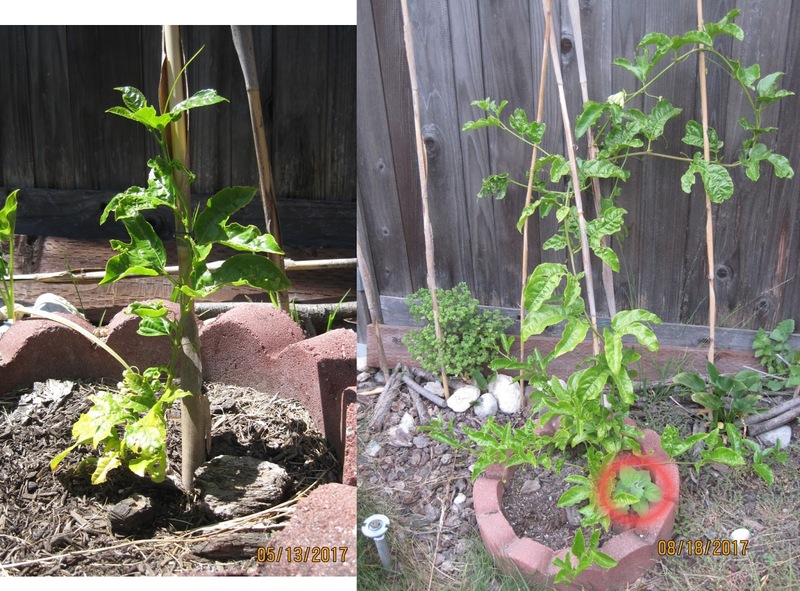 I guess there must had been a seed that got mixed in the soil when I propagated over the passion fruit vine. I love this kind of surprise!